Includes CD of Carl Davis' original score. Please note that this is the book, not the DVD. When he was fifteen, Kevin Brownlow saw two reels of the 1927 "Napoleon", and it changed his life. The film was more daring, both technically and artistically than anything he had ever seen. How could it have been forgotten? Brownlow got in touch with the film's director and tracked down members of its cast and crew. He discovered that the making of the film was as much of an epic as the film itself. In 1967, he began an attempt to restore "Napoleon". The work took years, but eventually, Napoleon was presented, with live orchestration, to a new generation and as one critic put it, became 'the measure for all other films, forever'. This book tells the dramatic story of "Napoleon's" incredible revival and also serves as a wonderful introduction and companion to the film. When he was fifteen, Kevin Brownlow saw two reels of the 1927 "Napoleon", and it changed his life. The film was more daring, both technically and artistically than anything he had ever seen. How could it have been forgotten? Brownlow got in touch with the film's director and tracked down members of its cast and crew. He discovered that the making of the film was as much of an epic as the film itself. In 1967, he began an attempt to restore "Napoleon". The work took years, but eventually, Napoleon was presented, with live orchestration, to a new generation and as one critic put it, became 'the measure for all other films, forever'. 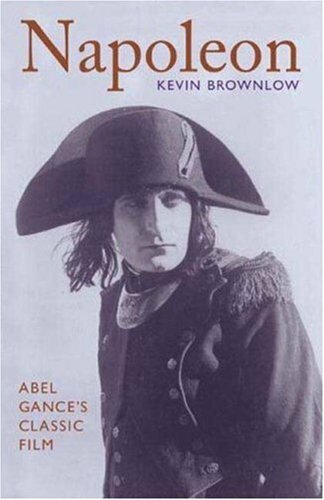 This book tells the dramatic story of "Napoleon's" incredible revival and also serves as a wonderful introduction and companion to the film.